Magnetic clasp made by Regaliz with an oval interior opening of 10x5 These are great for finishing a two strand love knot bracelet or for 10x 4.5mm leather. The clasp has a slight curve which fits comfortably on the wrist. It features a strong magnet and security prong. These are made in Europe under strict manufacturing standards. Designed to be used with 10x4 Regaliz mini oval leather it can also be used in Kumihimo, bead crochet and viking knit. The magnet is super strong and requires a twist and lift motion to open. 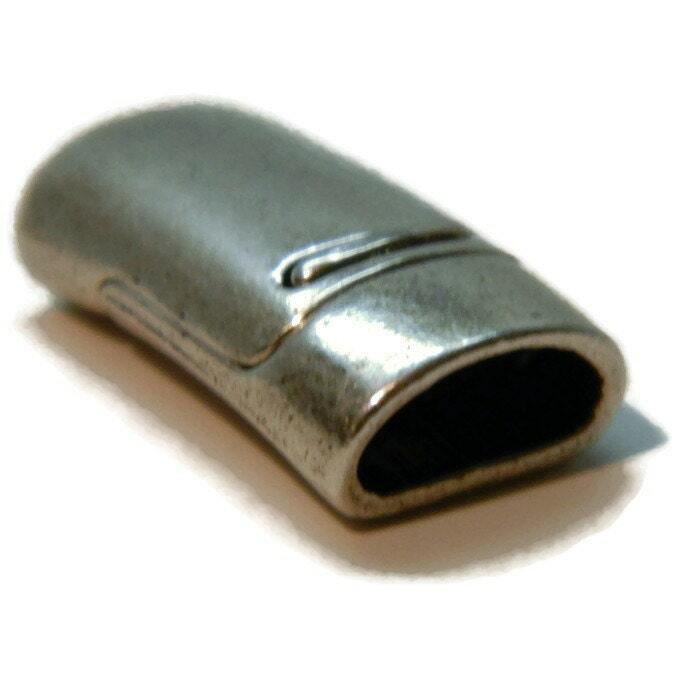 Listing is for one (1) Antique Silver Mini Regaliz Magnetic Clasp. 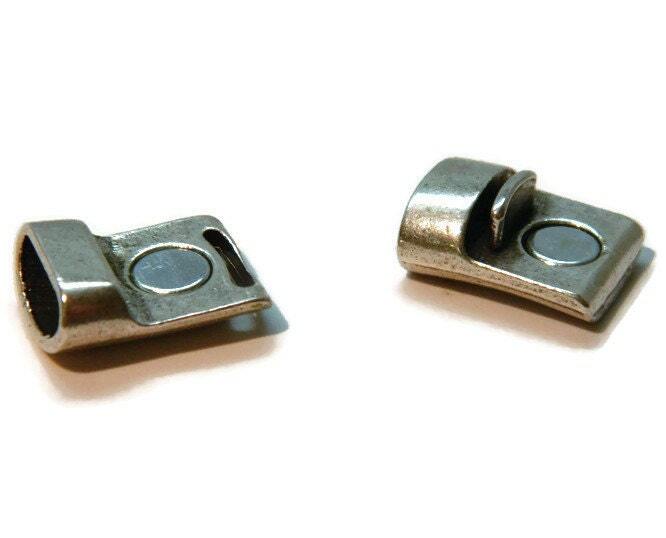 Good sturdy magnetic clasp forkumihimo.